What do we need from education? How are we preparing students for the world they will enter? 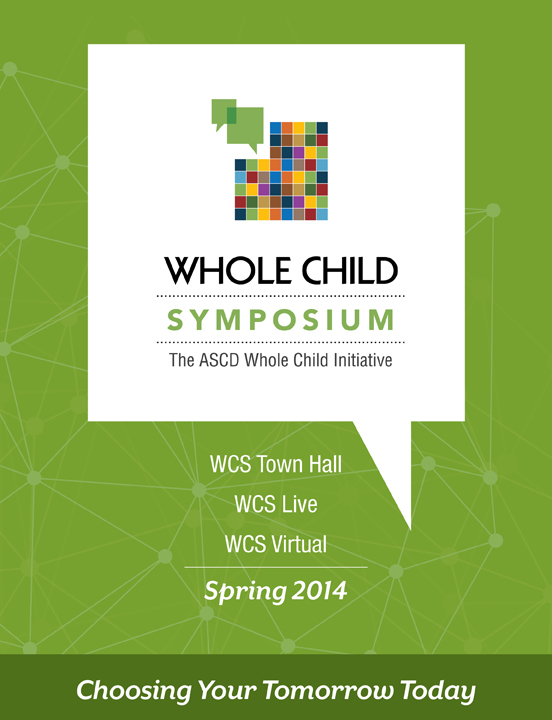 This spring, ASCD is launching its inaugural Whole Child Symposium, a series of discussions to tackle these important questions. Through a town hall discussion, a live event, and a series of virtual panels, the symposium aims to push and expand conversations about effective education and education systems around the world. The 2014 theme is "Choosing Your Tomorrow Today," in which we explore how what we decide today regarding education policies, processes, and practices influences our children, societies, and economies tomorrow. Learn more about the town hall panelists. Yong Zhao, an internationally known scholar, author, and speaker who focuses on the implications of globalization and technology on education. How decisions taken today by policymakers will determine what our youth and our societies become. What we as a society risk by abdicating the decision-making process or, at worst, not being aware that the wheels are in motion. At a fundamental level, what we want our youth, our children, and our societies to become—and what decisions must be made to get us there. Learn more about the live event participants. The symposium concludes with a series of virtual panels on May 14 and 15 and feature school leaders, policy experts, teachers, and students. You can register, participate live, and join in the discussions on social media. Each panel will discuss what currently works in education, what we will need in the future to be successful, and how this can be accomplished. ASCD public policy director, David Griffith, moderates a panel discussion between David Edwards, Joyce Elliott, Paul Reville, and Pasi Sahlberg on the future of education as it relates to global education policy now and in the future. Register for this session. ASCD whole child director, Sean Slade, moderates a panel discussion between Peter DeWitt, Sharon Jacobs, Elizabeth Partoyan, and James Stronge on what's currently happening in schools and what's needed in the future to be successful. Register for this session. Moderator Sean Slade oversees a panel discussion between Angela Maiers, Andrew Miller, Beth Sanders, and Jose Vilson discuss what's currently working in the classroom and what strategies will be needed in the future to ensure success. Register for this session. ASCD director of constituent services, Kevin Scott, moderates a discussion between student teacher Rose Diauto and three students from ASCD's 2011, 2012, and 2013 Vision in Action: The Whole Child Award-winning schools. Register for this session. Learn more about the virtual panelists and moderators.